Small businesses often need to borrow cash to fund everything from advertisement campaigns and new equipment purchases to payroll and utility payments. Different types of loans may be suitable for you depending on your business financing needs. Small business loans can range from a few thousand dollars and reach into the millions, while funding times can be as soon as the next day or take as long as three months. Make sure to research the different types of loans such as term loans, Small Business Administration loans, business lines of credit, invoice financing, and microloans as well as their providers in order to find the financing option that’s right for your business. About: With high maximum amounts and online accessibility, term loans have become one of the most widely used methods to finance a business. Similar to a personal loan, borrowers receive the entire amount of the loan at one time, and repay the amount with interest over a fixed period. Additionally, because term loans are often provided by online lenders, they have the potential to fund faster than through a traditional bank. Recommended Use: Term loans are best to use for large purchases where it’s ideal for the borrower to spread the payments out across a period of time. About: Instead of borrowing one lump sum all at once, you can also choose to use a business line of credit. This type of small business loan allows you to use funds as you need them, as long as they’re within your given credit limit. Because you only use what you need, you only pay interest on the money you’ve used. 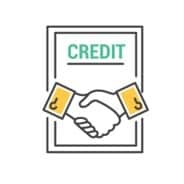 To take out a business line of credit, you should have excellent credit, a high and verifiable income and an established credit report with no recent derogatory remarks. Recommended Use: A line of credit can be a good option for managing large and recurring expenses. About: SBA loans are offered by traditional banks and other lenders but guaranteed by the Small Business Administration. The SBA guarantee makes these loans more difficult to qualify for than other loans or lines of credit. However, the rates and fees may be significantly lower. Their repayment periods are not based on the amount that you are borrowing and are instead based on intended usage, with typical loan terms set between seven and 25 years. Recommended Use: These loans can be a good option for borrowers who are willing to wait up to a few months for funding, and businesses who already have large, existing debts to expand or refinance. About: Unlike more general loans, an equipment loan is issued specifically for the purpose of purchasing new equipment for your business. These types of loans can be ideal for business owners because the loan term is typically dependent on the life span of the purchased materials. Additionally, the equipment is often the collateral for the loan, so borrowers don’t have to put their personal assets at risk. Recommended Use: These loans are best for businesses that want to directly own their equipment, or purchase vehicles or large machinery. About: Getting your clients to make swift payments can sometimes be challenge. If your business has several unpaid customer invoices and you need immediate funding, an invoice factoring company can send you that cash while you wait. Using one of these services allows you to sell the invoices to the company, so that after the company pays you, they collect the payment directly from the customer once that invoice is paid. Recommended Use: Invoice factoring services are best for companies that that have unpaid invoices with immediate financial needs. These can also be a good option for companies who are struggling to qualify for traditional business loans. About: If you need a loan of less than $100,000 for your small business, you can use a personal loan instead of a business loan. As qualifying for a small business loan can be more difficult for startups and other new companies, this may be a good option to take for smaller investments. Recommended Use: Personal small business loans are good for new companies and startups who have owners willing to act as the sole borrower. These work well for down payments or managing an immediate financial need. 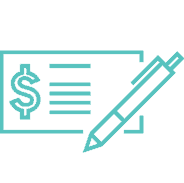 About: Similar to a term loan, a merchant cash advance provides a set amount of money, disbursed at the same time. However, instead of making the payments directly from a bank account, you repay the advance through fixed, regular withdrawals from a bank account or by withholding a portion of your daily debit or credit sales. Recommended Use: Merchant cash advances are good for businesses that are having trouble getting approved for other forms of financing and have immediate funding needs. Additionally, businesses should have a high volume of credit card sales in order to manage the repayment process. About: Peer-to-peer lending is done through an online service that matches borrowers with qualifying lenders. Recommended Use: Peer-to-peer lending is ideal for borrowers who have trouble getting qualified with traditional lenders, but want to pay lower rates than they would with an online lender. About: Unlike invoice factoring, you do not have to directly sell your invoices to a company in order to get funding. Instead, the invoices are used as collateral to ensure that you repay the advance on time. Recommended Use: This type of financing is ideal for businesses with immediate who do not qualify for term loans with lower rates, but who do not want to sell their invoices outright. About: Similar to a business line of credit, a business credit card allows you to only take out as much as you need, within the given credit limit. Additionally, you can repay the card in accordance with what you take out, while meeting minimum monthly payments. Businesses often use credit cards to fund cyclical expenses such as utility and rental payments and travel. Recommended Use: Business credit cards are best for businesses that already have an established history and verifiable revenue. About: Short-term business loans are term loans with shorter repayment periods. They must typically be repaid within one year of the initial loan disbursement. However, most are repaid within 90-120 days. Recommended Use: These types of loans are best for seasonal or retail businesses that have immediate financial needs and want to borrow without making a long-term repayment commitment. A small business loan can help you fund expenses that you wouldn’t otherwise be able to pay for out of pocket. This can mean hiring new employees, purchasing new equipment or expanding your real estate. They can also help you fill in financial gaps and meet immediate needs while you wait for customer payments or other forms of revenue. Your personal credit score will have an impact on your small business loan application, especially if you are taking out a personal loan to fund your company’s needs. A proven track record of on-time repayments of other loans, as well as an extensive business history will help you with your approval rates. However, if you’re just starting out, there may still be plenty of lending options for you; many lenders also take the quality of your business plans into consideration when evaluating your application. Both your personal annual income and your company’s annual revenue will be taken into account when you apply for a loan. The higher your income and company’s revenue are, the higher your chances of approval are. Lenders typically look for a minimum annual sales stream of $50,000 or more. What financial documents will lenders need for a small business loan application? Before you apply, you’ll need a few financial documents handy. You will need a statement that shows all of your business’ transactions which have occurred over a certain period of time, usually for a period of three months. You should also have a statement including all of the assets and liabilities attached to your business. Many lenders may also ask for a comprehensive P & L, or profit and loss statement detailing the revenue, cost and expenses incurred during a given period of time. Before applying for a business loan, you should have your personal credit report, as well as documents pertaining to your company’s finances available. Additionally, some lenders may ask you for a comprehensive business plan with your application. You should also already know roughly how much you want to borrow, and for what purpose. While online lenders may have simple web applications to fill out, more traditional loans may require applying in-person or over the telephone. Learn more about how to qualify for a small business loan. Where to Find Secured Personal Loans & How Does It Work? What Is APR On Personal Loans? What If You Can’t Make Your Personal Loan Payments? What Documents Do You Need When Applying For a Personal Loan? What Documents Are Required to Apply For a Personal Loan?